Accepting responsibility towards another person or entity can be a tough decision to make especially if there are no benefits to be received even if the responsibilities in a contract agreement will be heavy and may be critical. For this, a personal guarantee form will be used which is specifically for documenting the affirmation of an individual to guarantee and swear that he will take over the roles, responsibilities, and obligations which had been unmet by the party or person that he is guaranteeing for. Who Uses Personal Guarantee Forms? 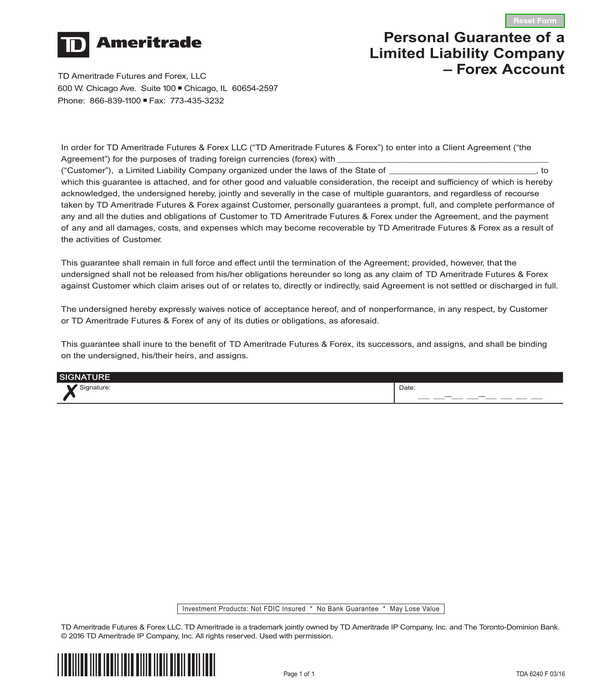 Trading companies: Companies who will be entering into a trading transaction with other companies or institutions use personal guarantee forms to document that the client company who will be trading is personally guaranteeing that they will perform based on the agreed terms and conditions of the agreement that they have previously signed. In addition, the form will also indicate the laws or the State acts which will regulate the agreement and the guarantee in the duration of the trading transaction. 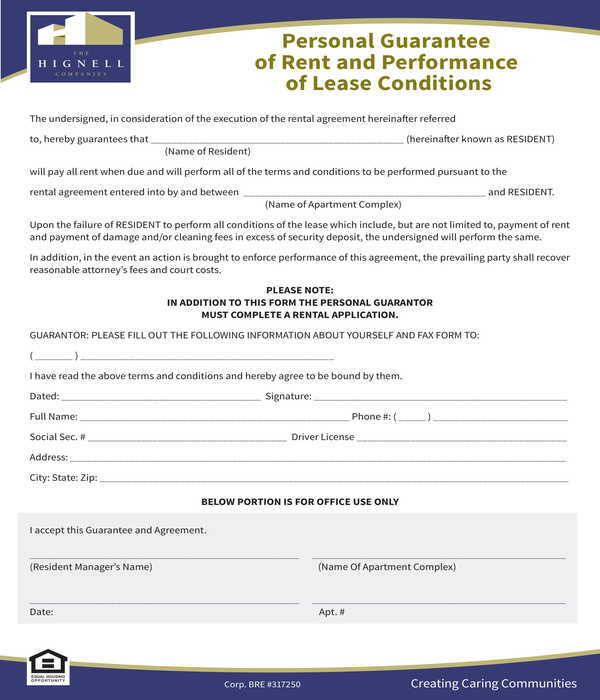 Landlords and lease property owners: Guarantee forms are commonly used by lease parties such as the landlord and the owner of leased properties. 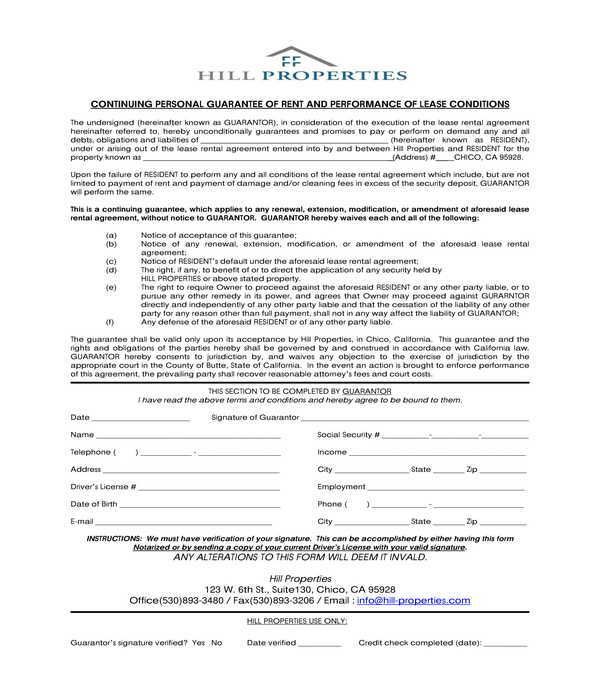 Using the personal guarantee form will allow the landlord or the owner to have an assurance and a documented proof that the tenant or renter has a guarantor who will be paying for the rent dues in the event of a default. Moreover, the form also records the general information of the guarantor, especially the guarantor’s contact information which will be used for informing the guarantor during the default and sending notices to the guarantor for the details of the failed rental fees and payments. Hiring managers: The reason why a company’s hiring manager will be needing a personal guarantee from an applicant is to verify and clarify the applicant’s employment background and claims. Basically, the guarantee form for this purpose will collect the information of the applicant, the guarantor, and the former company of the applicant as well as the guarantor’s evaluation regarding the applicant’s performance, commitment, and strengths when he was still working in the company. 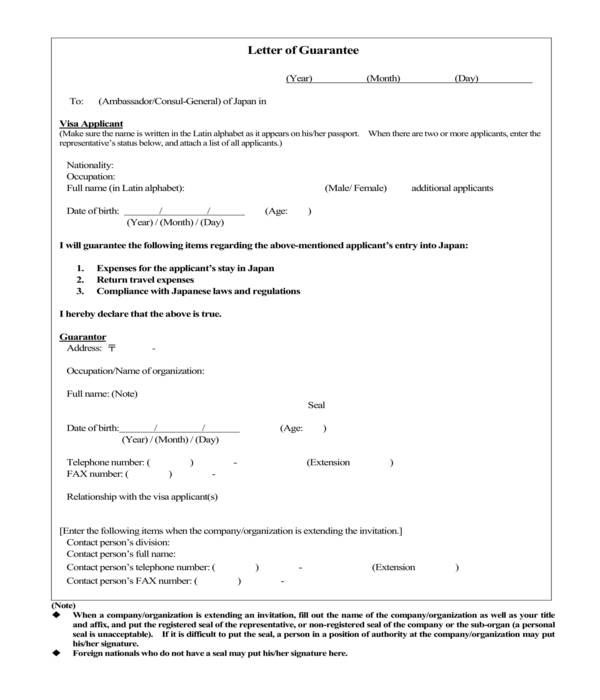 In other words, a personal guarantee form that hiring managers require and use serve as a supplemental document for the applicant’s employment application and character reference. 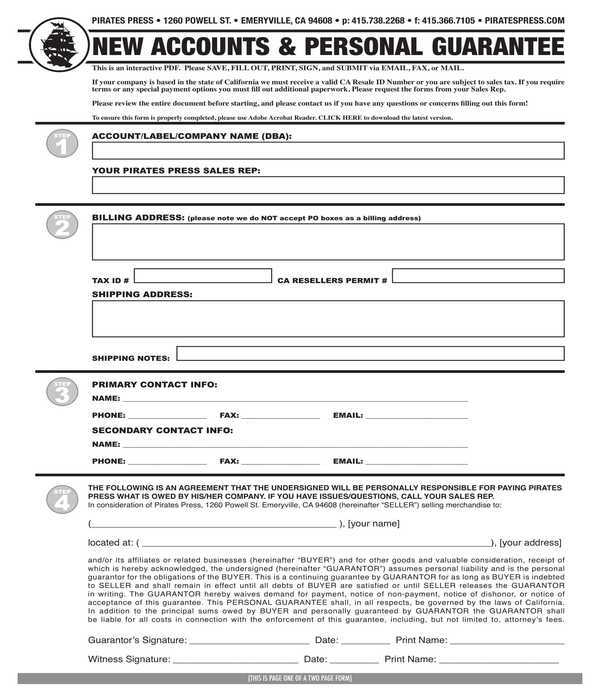 Insurance providers: The personal guarantee form that insurance providers use is intended for recording the basic data of the insurance applicant and his guarantor who will be shouldering the payments if ever the applicant fails to meet his financial obligations in retaining his insurance coverage. 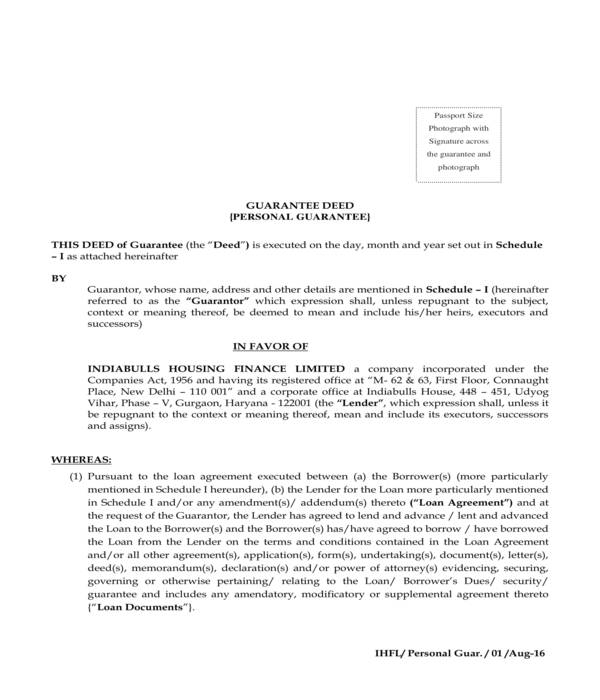 The applicant can enlist more than one guarantor in the form guarantee form. In addition, insurance providers also incorporate the terms and conditions which should be agreed and be followed by the parties involved or the applicant and his guarantors. Step 1: Click on the download button. The images of our templates or form examples are accompanied by individual download buttons along with its file format and its size. Although the stated format is either in “.PDF” and in “.DOC”, the file which will be downloaded will be in “.ZIP” or a zip file which has the compressed guarantee form in its own file format inside. The reason why we compress the document is to ensure that it will be downloaded efficiently and in full, as well as it will have a lesser file size as compared to uploading the raw file to the site. Furthermore, the zip file should then be extracted in order to obtain the actual document or file. Step 2: Edit the contents. The contents of our templates can be edited by using software application programs. The header or letterhead of the form, the contents and entry fields of the body, and the design elements should be customized based on the needs and preferences of the organization who will be using and providing the forms to their clients. Step 3: Save the form. The form should be saved based on the preferred format. 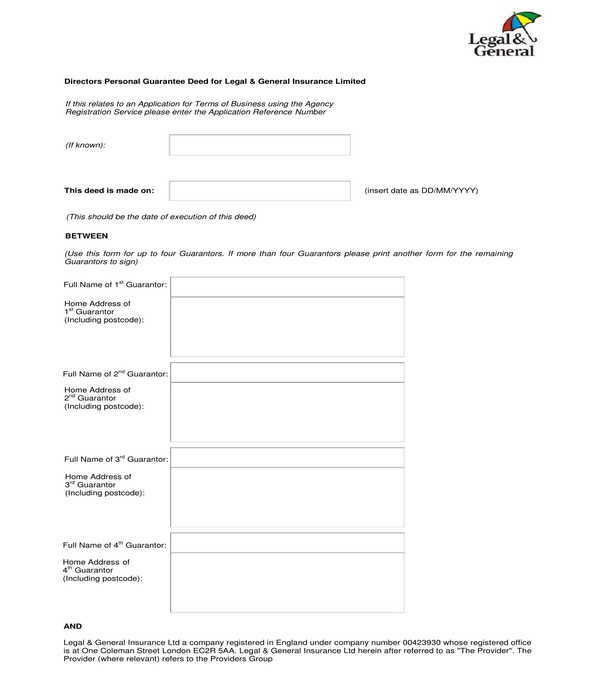 A “.DOC” format is suitable for forms which are intended to be printed out immediately while a “.PDF” format is preferable for personal guarantee forms which will be sent and be filled out electronically by the guarantors. And since the form is to be reused whenever there is a need for a guarantor to document his guarantees and promises, it is essential that the form is saved to its original layout where the guarantor’s specified data are not yet inputted into the entry fields. 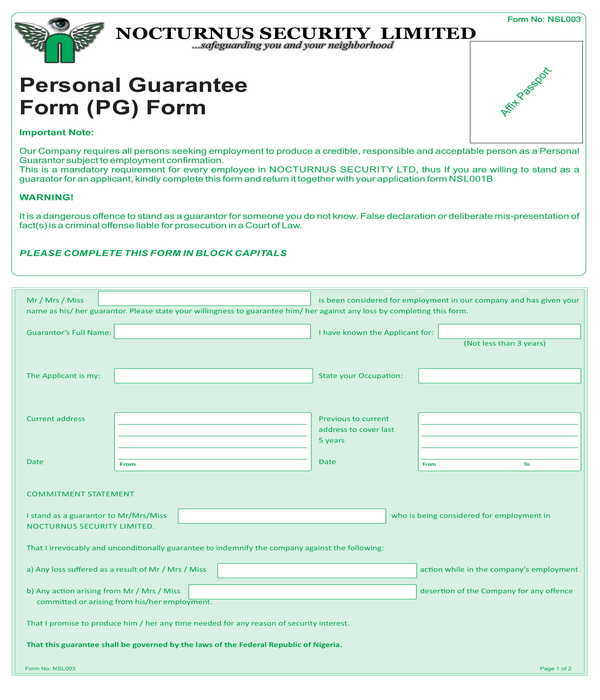 Keeping the personal guarantee form’s layout simple is important especially if there will be a lot of information to be collected using entry fields and underlines. By maintaining simplicity, the parties who will be filling out the form will be able to focus on the data to be disclosed rather than on the design of the form. Every personal guarantee form will gather varying information from its user which is why it is essential that the document-preparer is aware of the data or information to be obtained. The data entries should also be categorized based on their relevance and relativity towards one another. With the aforementioned information about personal guarantee forms, organizations and institutions will be able to know the form type they need and how they can maximize the use of each form for their benefit and their client’s as well.